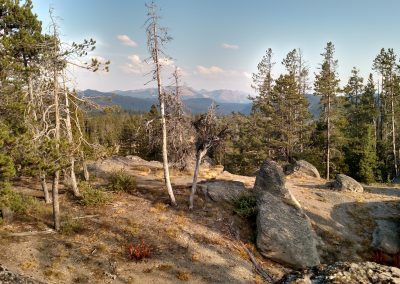 The Elkhorn Crest trail is a fantastic singletrack trail that hugs a high route through the Elkhorn Mountains of Eastern Oregon. 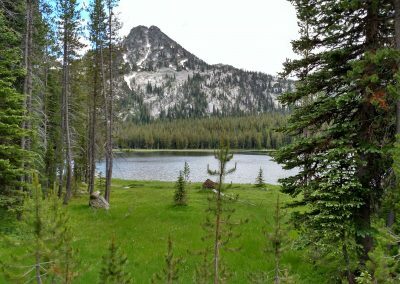 The Elkhorn Crest trail totals 23 miles in length and ducks in and out of the North Fork of the John Day wilderness. 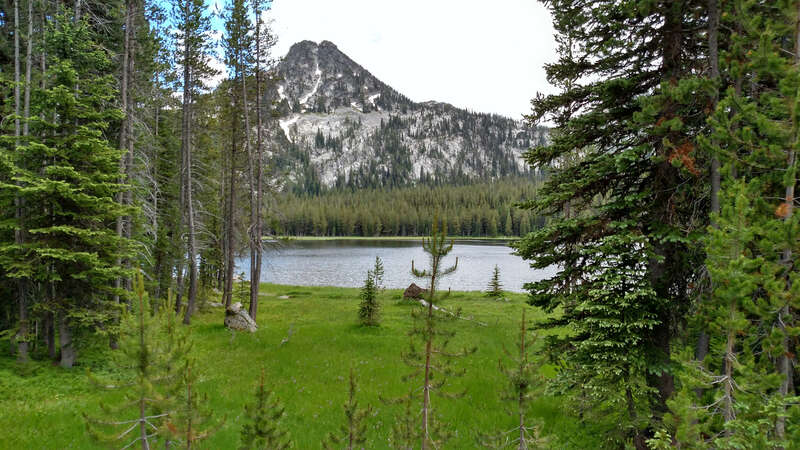 Along the way, you’ll see several magnificent peaks including Gunsight Peak, Rock Creek Butte, Angell Peak, Lees Peak, Rock Creek Butte, and Elkhorn Peak. 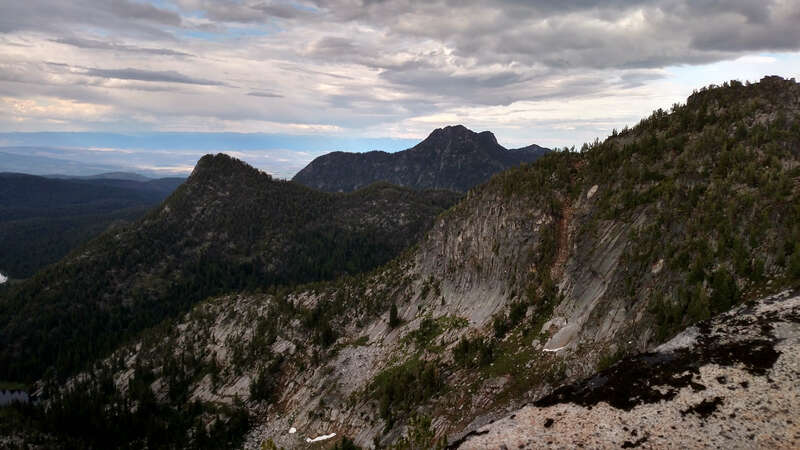 You are likely to see elk, deer, and even mountain goat while on the Elkhorn Crest. 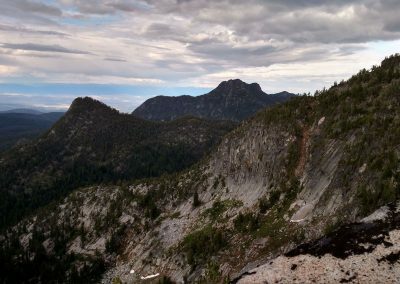 This is a popular trail for hikers, backpackers, and trail runners. 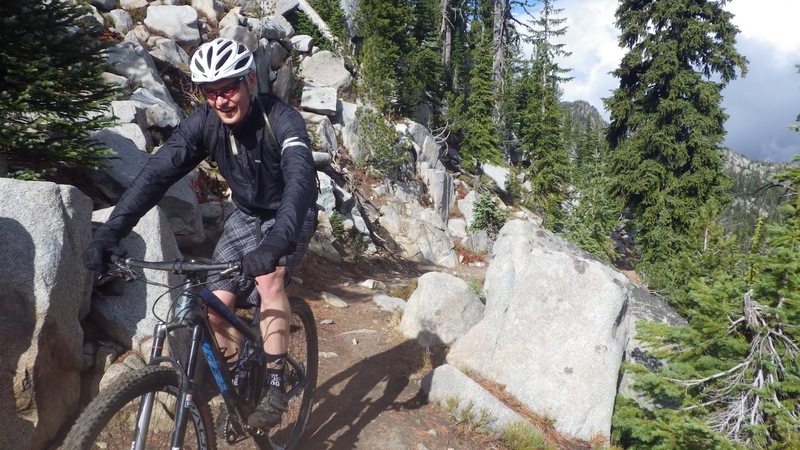 Mountain-Bikers will even ride the first section from Anthony Lakes until they reach the wilderness boundary at Angell Pass, or do a loop from Baker city, up Marble Pass, along the Elkhorn Crest trail, and back down into the Baker Valley past Summit Lake on trail 1635. 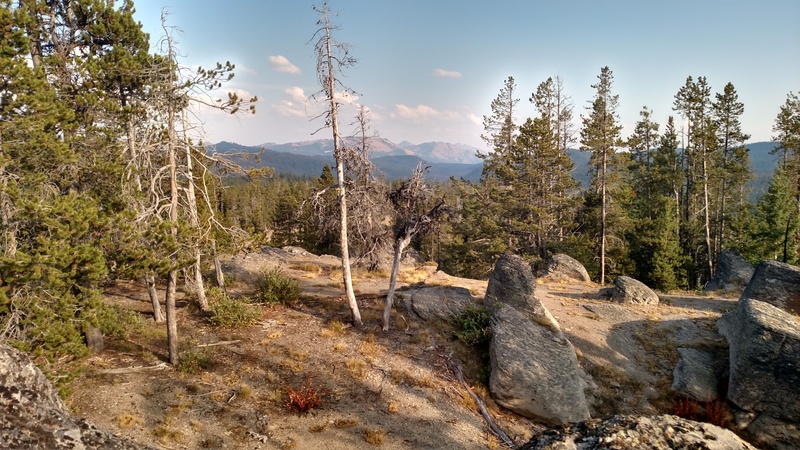 Sumpter will host the Elkhorn Crest 50-miler and Marathon July 28, 2018. Be sure to check out the race details on the race website. You can access the Elkorn Crest Trail from several locations, but the two most popular are at each end of the trail. One of the popular parking areas is the Black Lake parking lot, right off Road 73/Anthony Lakes Highway. This is the logical starting point if coming from the La Grande area or for anyone coming from the North. The other is Marble Pass trailhead at the southern terminus of the trail. This is a common starting point for those coming from Baker City. The Marble Pass route involves some bumpy dirt road travel (high clearance vehicles advised), while the Anthony Lakes route is entirely on good pavement. 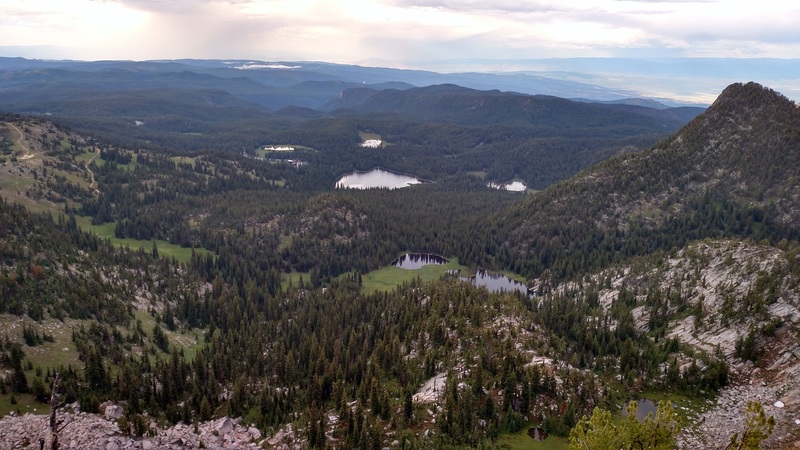 Starting from the town of Sumpter, drive west on Highway 410 towards the town of Granite. The road quickly turns North as you reach the outskirts of town. Follow this road (now Granite Hill Road according to Google, but FS road 24 on most maps) up and over Blue Springs Summit (elevation 5864 feet). The road surface is good pavement the whole way. Continue on this road 16 miles to the town of Granite, which will be on the right. Continue straight past the town of Granite another 8.6 miles to the intersection of FS Road 51 and FS Road 73. The North Fork John Day Campground is just past the intersection on the left. You will take a right to stay on FS Road 73 (also known as Anthony Lakes Highway, also known as Elkhorn Crest National Scenic Byway). Follow this road for 16.5 miles on good chipseal. 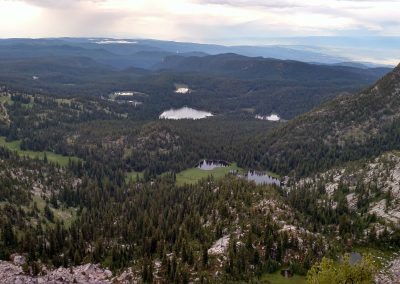 You will climb a gradual 2400’ and top out at 7394 feet at the top of Elkhorn pass, then you’ll descend a bit and eventually flatten out at the Anthony Lakes ski resort. There will be a distinct trailhead parking area with pit toilets on the right, just past the turnoff for the Anthony Lakes Campground. Park there.